This sweet and tangy sauce with nodes of chili is the best combination for people who aspire for balance of tastes. The sweet tomatoes and raisin paste when mixed with the mildly spicy cayenne pepper and red bell pepper with traces of garlic makes a concoction that's hard to resist!All Chicken Nuggets call for A.1. 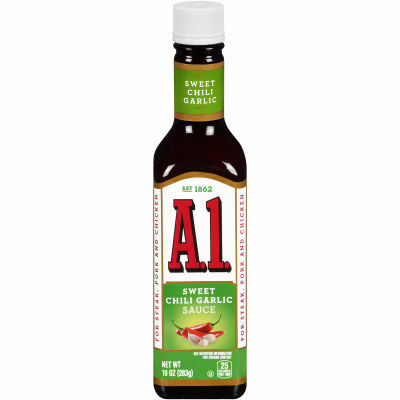 Sweet Chili Garlic SauceYour nuggets taste nothing without A.1. Sweet Chili Garlic Sauce! Dip your nuggets, or even double dip (when no one's watching)! You can also enjoy this sauce with your bucket of Buffalo wings. Imagine the pleasure of a sweat, tangy, garlicky sauce over the warm crispy wings skin!